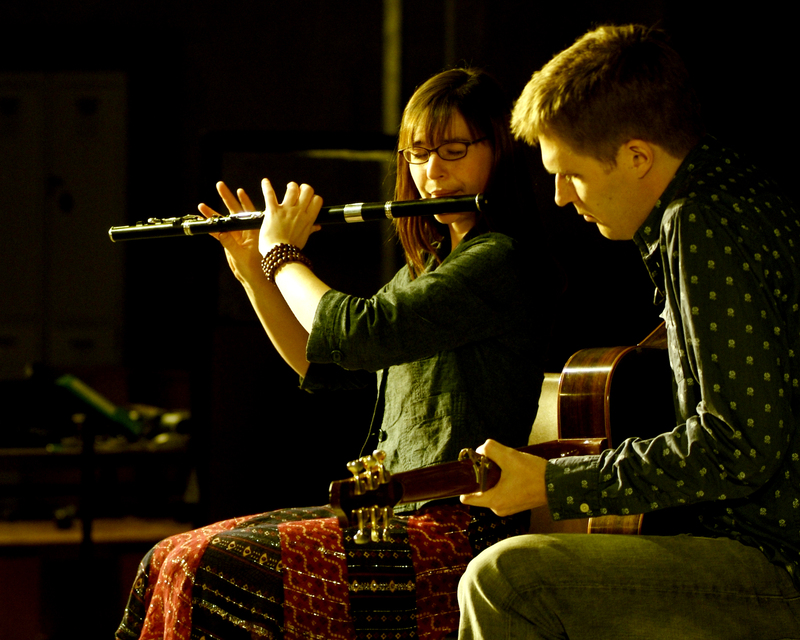 Vancouver singer and flute player Norah Rendell and Minnesotan guitarist Brian Miller met while studying Irish traditional music at its source and living in the southwest of Ireland. Their duo performances clicked from the start. 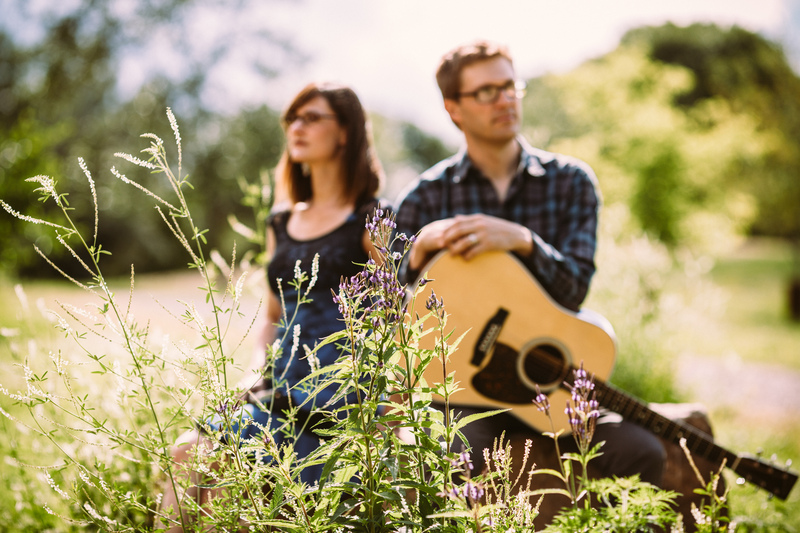 Ireland’s Munster Express wrote that their music “brings sunlight into your heart and set your feet a dancing.” Since returning to North America, their debut album, Wait There Pretty One, earned Norah a nomination for Canadian Traditional Singer of the Year and they fast became known as two of the best young interpreters of traditional song this side of the Atlantic. Norah has performed at venues and festivals around the globe including England, Scotland, Ireland, France, Germany, and North America as lead vocalist with The Outside Track. Fred Silver of the Stornoway Gazette wrote, “Her singing left me goose-pimpled all over – a sure sign of a gutsy, emotional delivery laced with meaning and pathos”. 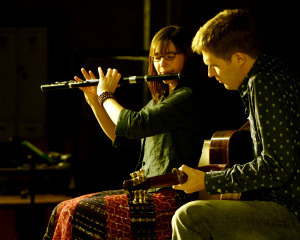 In 2005, Norah was awarded a grant from the Canada Council for Performing Arts to study traditional flute and singing at the Irish World Academy of Music and Dance in Limerick. Since returning to North America, Norah has been featured on CBC’s Canada Live, North by Northwest and BBC Radio Nan Gaidheal. 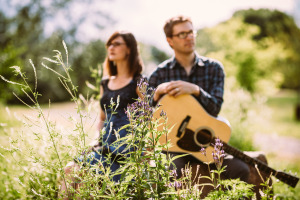 Esteemed Irish music critic Earle Hitchner writes that “the backing of [Brian] Miller on guitar flexes not just muscle but a fully complementary style.” Also an accomplished singer and flute player, Miller began playing Irish music as a high-schooler in Bemidji, Minnesota. He has been a highly visible character in the Twin Cities Irish music scene since 1998, while often sneaking away to his other adopted home of Cork, Ireland. 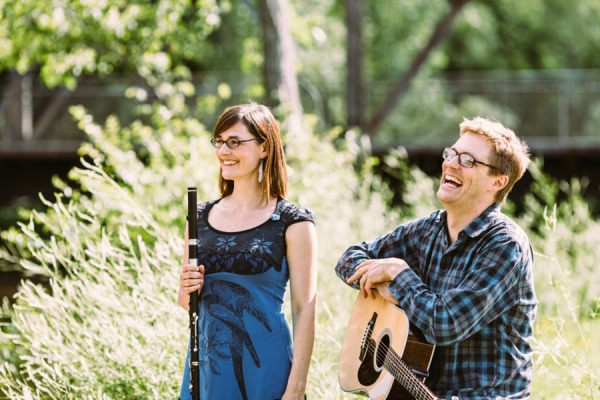 As a member of a number of far-flung groups and duos including Bua, The Tommie Cunniffe Trio, The Doon Ceili Band and 5 Mile Chase, Miller has performed throughout the US, Canada and Ireland. In Ireland he has been featured on TG4, RTE television and RTE radio. The Irish Times called his guitar accompaniment on Tommie Cunniffe’s 2007 solo album “superb”.